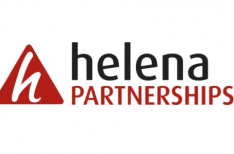 Helena Homes is a well-respected social landlord with over 13,000 homes in St Helens, Merseyside. Helena has a great reputation for delivering its promises and making a real difference on our estates. We're more than just a housing company. Yes, we’re about providing high quality homes for thousands of people. But we’re also about creating places where people choose to live, work and enjoy themselves. By listening to our tenants and residents, and allowing them to challenge our performance, we can improve the services we provide to meet their needs and expectations. Helena has developed a ‘Menu of Opportunities’ offering our customers a range of ways to have their say. We actively encourage tenants to play a part in monitoring and evaluating the services that they and thousands of other people in St Helens receive, and to hold us to account if they feel we could perform better - showing the Big Society in action. Our work around resident involvement has been recognised, as a best practice model of engaging customers, on a national level. Helena is one of only ten housing associations in the UK to become a Tenant Services Authority (TSA) Co-regulatory Champion. This is an important role which will see Helena work with other social landlords around the country to help them develop mechanisms for engaging tenants in the scrutiny of services.